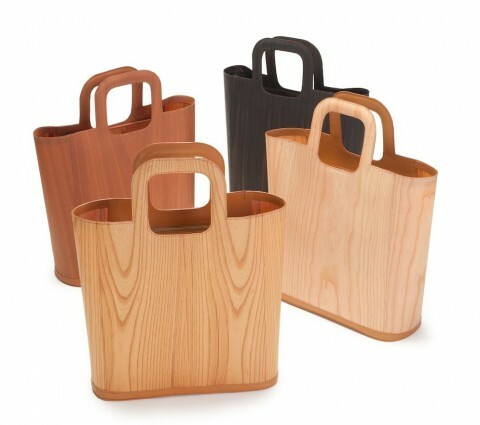 Ashbee Design: Flexible Wooden Tote? Gorgeous! I am up to my ears in sawdust because I am working on a new DIY furniture project and it will take several days of work. While that is progressing here is something beautiful via Swiss Miss. How perfect are these bags for a lady that loves wood? They are made in Japan out of a thin layer of wood that has been treated with a resin. It makes the wood flexible and weather resistant. Unfortunately, they are not available in the USA but if you are one of my European readers you can get them online here. They also make placemats and coasters out of the same material. I could sure use some of it for many different craft projects.